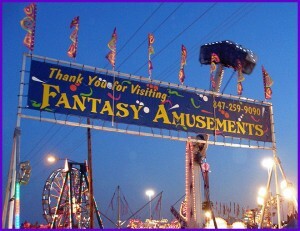 I highly recommend Bill and Mary Johnson and Fantasy Amusement Co. for your fair or festival. Their outstanding service to the McLean County Fair over the past 11 years has created a relationship of trust and commitment to their operation and the carnival industry. They’ve committed to and provided a very clean and smooth running operation; open and honest communication; financial integrity; and fair and flexible negotiating. The McLean County Fair board and I are extremely pleased with our relationship with Bill and his operation. If I can provide additional information or answers for you, please contact me at your convenience. Thanks again for another great year at the Kane County Fair. I can’t begin to tell you how wonderful it is not to have to worry about the Midway and how it is being run. We get more compliments about the grounds and your crew, especially how helpful, clean looking and courteous your guys are. Looking forward to many more years of working together. I would like to once again personally thank you for all the help we have received from Fantasy Amusement Company, and look forward to working again with you this year. Profits, safety and friendship have been our biggest returns since Fantasy Amusement Company has taken over the Glen Ellyn Jaycees Village Fair and your draw of the crowd is the key reason that the Chamber of Commerce now simultaneously hosts the Taste of Glen Ellyn the same weekend. The profits from this single event allow the Glen Ellyn Jaycees to fund our entire yearly budget and last year’s even better returns allowed us to be more generous in giving back to the community. We can not recommend you enough. Bill, you and your wife Mary have become not only one of the community’s strongest fund raising assets, but your taking the time to get involved has help us immensely with many other community functions throughout the year. We gladly will provide a great reference for anyone considering you for their next event; they will not be disappointed. They may call Nancy Silvasy this year’s Chairperson, or me personally anytime. As a Certified Association Executive (CAE) with the American Society of Association Executives (ASAE) I recognize the importance of credentialing in an industry. Credentialing is designed to elevate professional standards, enhance individual performance, and designate professionals who demonstrate the knowledge essential to their industry. 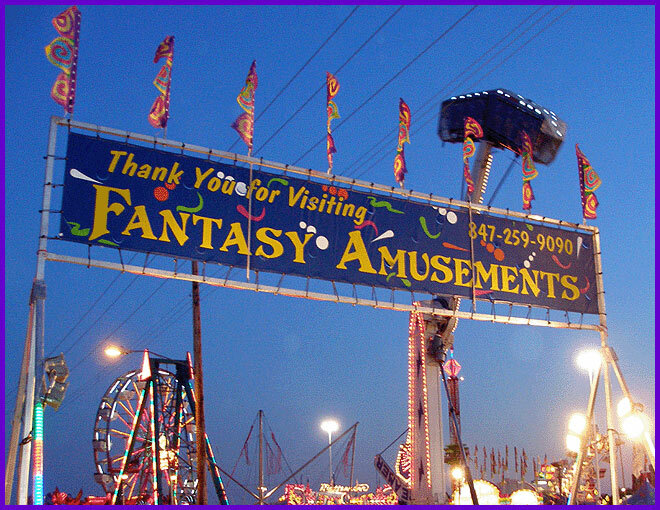 Fantasy Amusement’s Circle of Excellence designation with OABA gives me the confidence that we chose the right carnival to help provide additional revenue to our fair, as well as providing a higher degree of confidence that fairgoers safety is the priority on our midway.